diddi dance 15th Birthday Competitions!!! 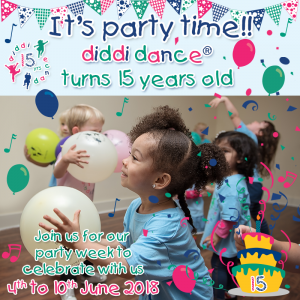 To celebrate diddi dance turning 15 this year, as part of our Party Week we will be running 3 competitions on our national Facebook, Twitter & Instagram pages! a free diddi dance Birthday Party on Facebook! 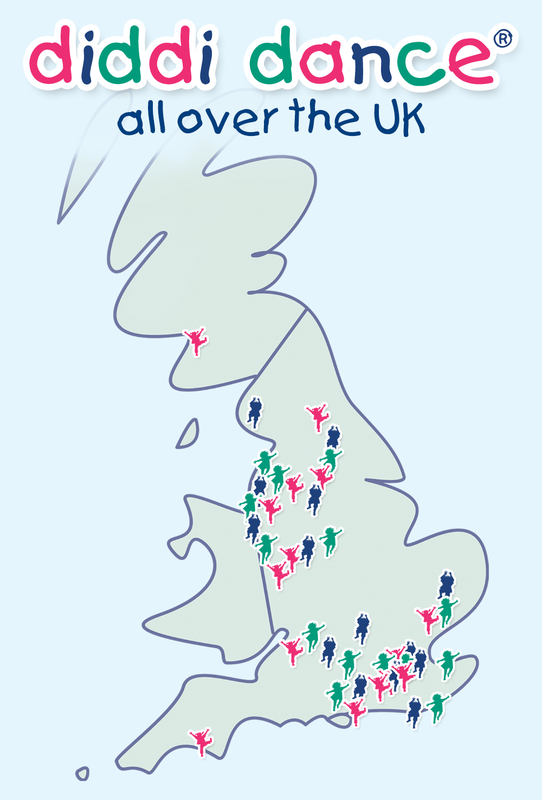 free half-term of diddi dance classes on Twitter! a diddi dance goodie bag choc full of all our fantastic merchandise on Instagram! To enter simply upload an image of your diddi dancer in their party attire or enjoying our party classes onto the above-mentioned platforms/pages tagging diddi dance and using our birthday hashtags – #diddidance15 & #HappyBirthdaydiddidance to be in with a chance to win! 3 winners will be picked at random from all entrants – 1 on each platform. Entries will be accepted from 4th June to 10th June with the winners being announced on each platform on 11th June as part of #diddidanceroftheweek. Competition closes at midnight on 10th June 2018. There is no cash or another alternative to the prizes stated above and the prizes are not transferable and no part or parts of the prize may be substituted for other benefits, items or additions. There are also no substitutions/exchanges across platforms. The 3 winners will be chosen from all valid entries placed on the National diddi dance Facebook, Twitter & Instagram pages, and contacted by diddi dance. Prizes will be delivered within 28 days of confirmation of delivery/email address. Prizes are subject to availability and change. By submitting your photograph you give consent for the photograph to be shared on social media by diddi dance.